It’s beginning to look a lot like Christmas…so the song goes and that’s why I was inspired to finally make some holiday cookies! 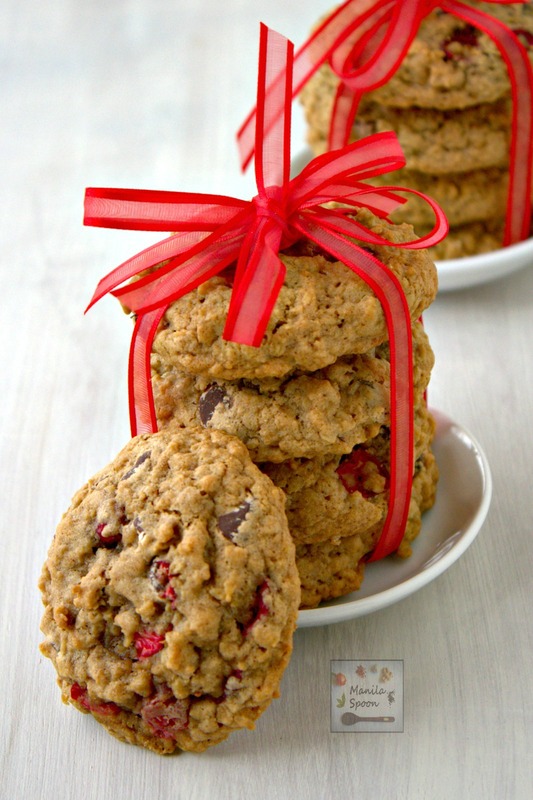 Without much further ado – here’s a cookie that’s chewy, sweet with a hint of cinnamon and with the refreshing taste of fresh cranberries all rolled into one delicious Cranberry Choco Chip Cookies! Perfect for the holidays and as a lovely gift for family and friends! If you’re making this over the summer, you can replace the cranberries with fresh or dried cherries. Preheat the oven to 350 F. Prepare two cookie sheets. Grease or line them with parchment paper. Sift into a big bowl or whisk together the flour, baking soda, cinnamon, nutmeg and salt. Add the oats to the flour mixture and mix well. In a mixing bowl, beat together the butter, sugar, eggs and vanilla extract just until combined. My butter was already melted when I combined it with the other ingredients that’s why it looks like this – more liquidy (I was in a hurry and had to melt them instead). However, if you have the luxury of time – room temp butter (softened) is so much better because the cookies would be more chewy and moist. If the butter is just softened it will only melt while at the oven hence the cookies retain more moisture. The taste will be the same either way though. Add the egg mixture to the dry ingredients. Mix well until all the ingredients are moist. Fold well into the batter the chopped cranberries and chocolate chips. Drop the mixture by rounded tablespoons onto the greased cookie sheets. An ice cream scooper is so helpful for this. I used a large one. Do not flatten the cookies. Bake for 10-12 minutes (depending on how big your cookies are, mine were big so I cooked for about 12 minutes but if you use a tablespoon as measurement then 10 minutes is perfect!) or until lightly browned. Do not overcook. Let stand for 5 minutes before you transfer to a wire rack to cool completely. They will be quite soft so you need to let them sit a bit. Makes between 50-55 cookies if you are using a rounded tablespoon. I used a large ice cream scoop the first time so I only managed to make about 2 dozen but the cookies were huge. Perfect Christmas cookies in my opinion. Chewy, moist and delicious! The cookies not only look good, but so does the photography! I love every thing you make! 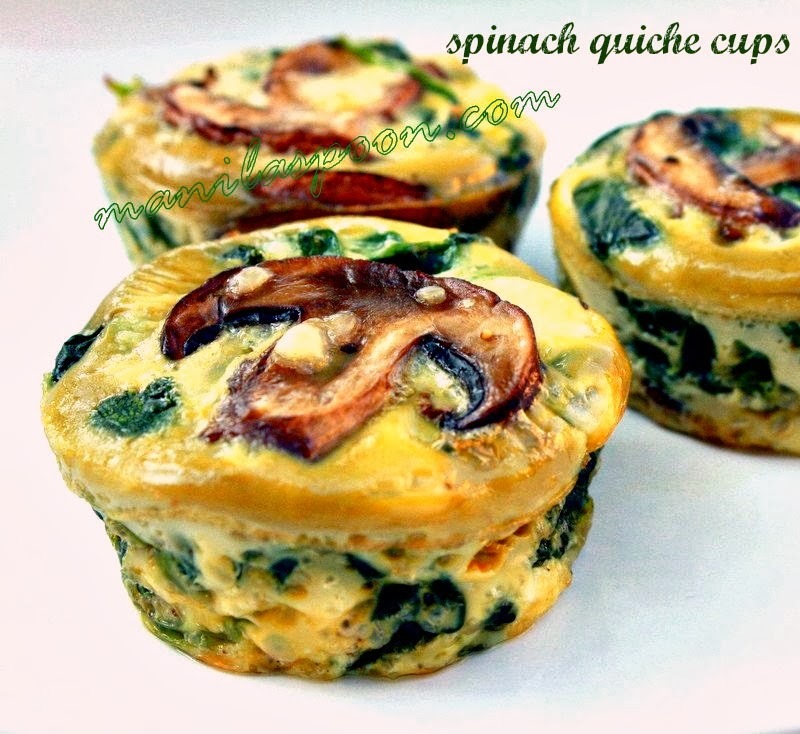 Thanks for linking up to Foodie Friends Friday. So glad you came by with your wonderful recipe! See you next week! Thank you for sharing these with our FFF Cookie Party! What a great combination! Sharing on my Walking on Sunshine FB page this afternoon at 3:00! Come back to VOTE on Sunday! Your pictures are beautiful! Those cookies are perfect! Thanks for sharing on Foodie Friends Friday!